Deben is a disgrace. He should be put through an Andrew Neil interview, which would surely destroy him. £600,000? I wait to see real money. Look let’s face it he’s clearly cleverer than me, I’d like to think less honest and reputable as well, but who knows? I have always failed to understand why members of the HoC and HoL are allowed to run their own businesses or have secondary employment. Politicians are paid salaries and expected to do a full time job. If they are running their own businesses they are not devoting their time, full time, to their political duties. If they want to volunteer as a politician which I believe was the case many years ago, then fair enough, their business interests may allow them to do that, but it’s at their expense, not the public’s. 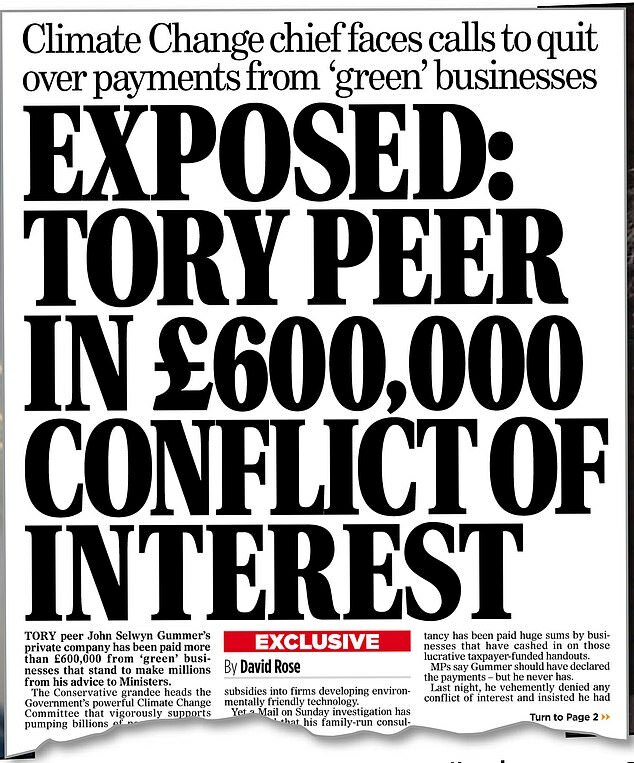 This is quite apart from the issue of conflicts of interest. No one will ever convince me politicians with business interests don’t use their position for the betterment of said businesses, it’s human nature. Politics in the UK is in a mess because there are too many politicians with their noses in the public trough. Make MP’s pay their own way and we’ll soon see the smaller government we all deserve. Yet more sickening duplicity from politico’s. This has been the week from Hell. I was discussing this idea of removing GCH from new builds with a an old friend who worked at Worcester Bosch. The thing is, it seems that while Gas boilers will be outlawed, gas cookers will not. (I could be wrong). That being the case, if a house needs to be connected to the gas main to run a gas cooker, what is to stop the owner piping in a gas boiler? And even if that doesn’t happen, what is to stop someone using bottled gas and plumbing in there heating that way? Then, of course, what about oil-fired CH? They’re gonna need some new FF Police (FF = fossil-fuel, but ymmv!). When every property has a Smart Meter (I’ll bet it WILL become mandatory) the suppliers will know straight away that you are using far too much gas for a cooker alone. The government will expect this information be made available, so they can send the “heavies” round. I thought the plan was no gas for anything. Cooking by electricity or unicorn farts only. The “hydrogen economy” has been investigated in depth. Conclusion is that H2 is not well suited to anything useful except as a feedstock for synthetic hydrocarbon liquid fuels. As a home heating fuel, H2 contains 1/3 the energy of natural gas on a volume basis. This means the existing piping infrastructure could carry only 1/3 of the volumetric load that it now carries. Widest explosive range of any fuel gas. All in all, H2 is useless as a fuel. Move over in the trough, trough, trough, never mind the ‘graft’ shouted the porkers. Heck it’s all for a ‘good cause, .it’s all for saving the planet innit?! Yessiree laydees ‘n’ gen’lmen, step right this way for the green snake oil, and buy into the ‘green indulgences racket’ but all profits go to the big boys – right?!. Post modern Britain the stench, where dishonesty pays big and it’s very ok to be economical with the truth Did I say economics? pah providing you are a virtue signalling prize troughing pillock, who needs economics, stiffing the taxpayer is the only game in town. Britain eh, shiving the UK taxpayer for a livin’ is now a chosen career path and never mind conscience ‘n’ efiks – dey’s only for the stoopid little people, and the voters. In the ballot booth, bear that in mind when you next consider where you place your cross. the UK really cries out for, does need an alternative to liblavcongreen taxpayer parasites, limpets and subsidy hooverers. The relative silence from Parliament in these matters makes one wonder how many other MPs are directing our national policies in their own financial interests. 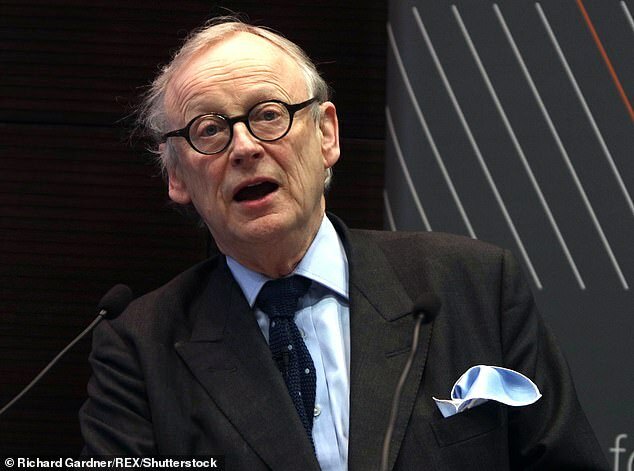 I’m sure there must be far more MPs or peers like Deben who are working primarily to line their own pockets. Even after Deben has been found out with his first bout of cheating, he is still in his job, when he should have been immediately relieved of his post by Mr Gove until the alleged misdemeanour had been fully investigated. I wonder whether Deben will still be allowed to stay on after this latest revelation. One only has to refer to the many cheats who were falsifying their expenses, exposed by a national newspaper and not by parliament itself, to understand this point. I believe that integrity and responsibility to the electorate by our parliamentarians is now, with the exception of a few genuine politicians, a thing of the past. They no longer represent we lesser folk: a very worrying sign indeed. “Be careful what you wish for” probably applies here, if Gummer goes who will replace him? Probably some academic zealot with a hatred of capitalism and of the UK. Not only does hydrogen suffer from the fact that, the gas, litre for litre, contains only one third of the energy of methane, it does not occur naturally. Every litre of the gas has be manufactured; methane simply needs “a hole in the ground”. All the energy in hydrogen has to be provided in its manufacture. Due to inefficiencies, not quite as much energy is recovered when it is burned. There is no way round this, thermodynamics will not be contravened. 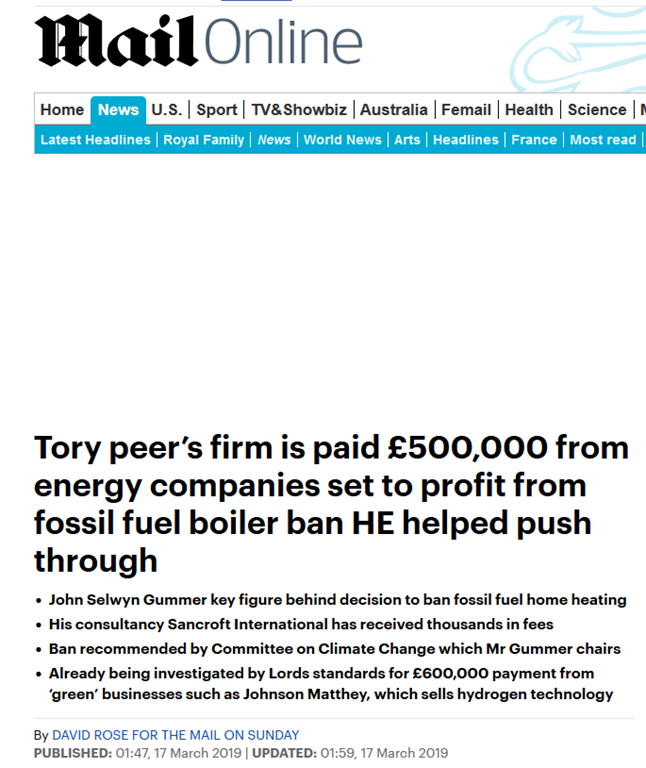 If every fossil fuelled domestic “boiler” is to be replaced with electricity, how many more power stations will be needed. Certainly more than would burn the amount of gas and oil used in the home, inefficiencies again. My own central heating “boiler” is rated at 38KW. Such an electrical power rating would require 152 amps. My whole house carries an 80 amp fuse. The 152 amp load is simply not feasible, even before I have obliged Mr Gove and bought an electric car; another similar load. Ministers who make or support such fatuous policies are not the exception, they are indeed the rule. The Cabinet is entirely lacking in scientific or technical knowledge, and seems to resist any amelioration of the circumstance.